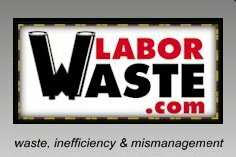 Now here's a website that provides the public with more worthwhile information than all those conceived by the Rudd Labor government combined at just a fraction of the cost: LaborWaste.com. It provides the Australian people with something that has been conspicuously absent from this government: accountability. The website doesn't just document the monumental waste that has characterised the Rudd Labor government, such as GroceryChoice, an epic $13 million fiasco, and Rudd's bureaucratic compulsiveness that has so far led to 168 reviews, committees and enquiries—it accepts tip-offs from the public of any observed waste, inefficiency or mismanagement, allowing individuals to take action in making this government accountable. Information submitted via the website goes to the Coalition Labor Waste Committee.